My iPhone battery is always running low. Everyday by mid-day my battery it’s practically dead, meaning if I’m going to be out for the evening, I need to remind myself to bring my charger from home. 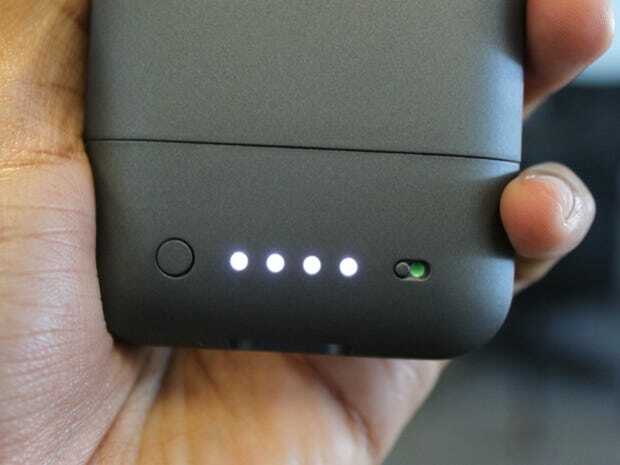 For a while I resorted to carrying around the Mophie powerstation mini an external battery with a USB port that can power most mobile devices, but I hated carrying around two phone-sized things to stay charged. 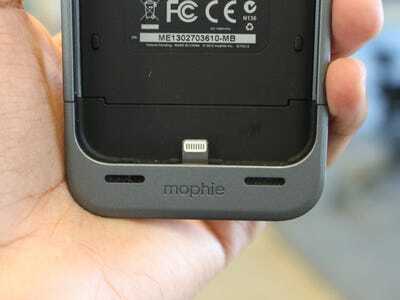 When I learned that Mophie was finally releasing its latest battery extender for the iPhone 5, I got excited. And I was lucky enough to get my hands on one a bit early. With the exception of a few minor quirks, the Mophie Juice Pack Helium is an essential accessory for just about any iPhone 5 owner. The new juice pack builds on the previous versions, yet it doesn’t add too much bulk to the svelte iPhone 5. Obviously, your iPhone 5 will be significantly thicker than before, but that’s because the Helium adds an extra battery that’s almost as big as the one in your phone now. Still, the extra thickness didn’t bother me at all, especially because the case adds an additional 80% to my battery. 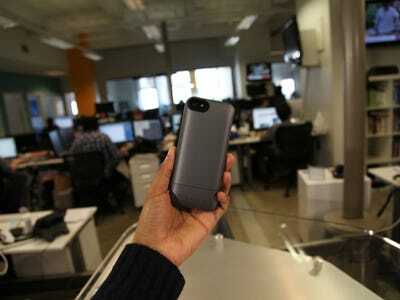 By itself, the helium weighs 2.44-ounces and adds a 1500 mAh battery capacity to your iPhone 5. This means that you can talk for six more hours on 3G, use the internet for 6 more hours on 3G/LTE/Wi-Fi, and listen to audio for an additional 30 hours. The helium is ridiculously easy to use. 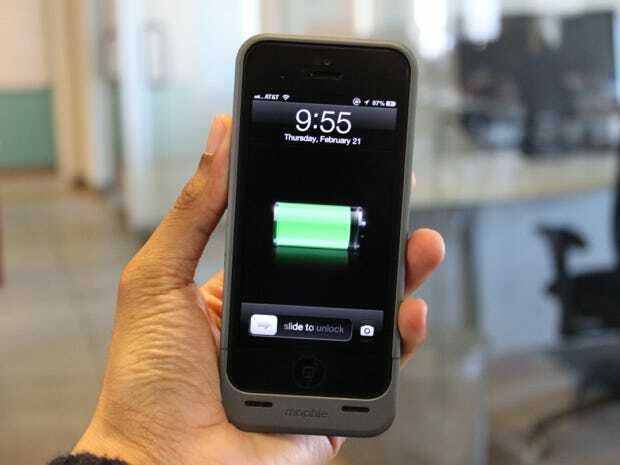 After placing the case over your phone, just turn the switch when you need a charge. I did notice the juice pack got relatively warm when it was charging for an extended amount of time, but on a cold winter night this wasn’t necessarily a disadvantage. The case charges with a regular USB cable, so you won’t need to go digging around for one of the special new iPhone 5 cables. (It charges your phone too). What’s bad about the helium? The worst thing about the helium is the headphone jack. The case makes the port extra deep, so it’s nearly impossible to plug in your headphones without a special extender that comes with the Helium. The extender works fine, but it’s a bit annoying to carry around another dongle. And it’s so tiny that chances are pretty good you’ll eventually lose it. It feels like an odd compromise. I think the juice pack is a necessary accessory for any iPhone 5 user, especially since those iPhone 5 chargers are hard to come by. Even if you don’t outfit your phone with the case at all times, having the helium easily accessible in a briefcase or purse can save you when in a pinch and battery is low. The helium will begin shipping March 15. It retails for $79.95 and comes in two colours: dark metallic and silver metallic. 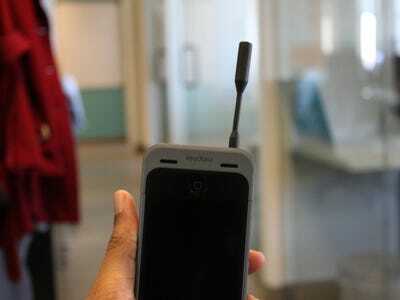 The helium adds 80% more battery to your iPhone with a slim profile. 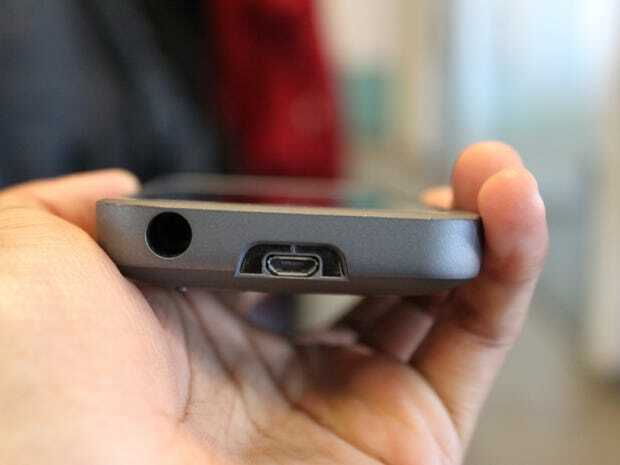 The only negative is access to the headphone jack, which makes it difficult to plug in accessories.